Take a look at some of our most recent Educational & Community projects. Children’s Village is a non-profit early childhood education and school-age academic enrichment facility located in the Chinatown neighborhood of Philadelphia. The scope of work consisted of incorporating ground floor tenant space into a Children’s Village school facility remodeled to include new classrooms, office spaces, and bathrooms. Classroom and office space renovations to Children’s Village facilities on floors 1 thru 5 were also part of this scope of work which included upgrades to the life safety and HVAC systems, new kitchenettes, new bathrooms with children’s height fixtures, new high efficiency lighting and lighting controls throughout. Global Leadership Academy Southwest (GLA-SW) is a grades K through 8 public charter school located in the Cobbs Creek neighborhood of West Philadelphia. J+M Engineering was pleased to provide the MEP Schematic Design Performance Specification to serve as the basis of design for upcoming engineering system upgrades to the existing kitchen, dining area, auditorium, gymnasium, as well as office and classroom spaces located on the 1st thru 3rd floors. Isaiah Zagar’s studio on Watkins Street in South Philadelphia serves many needs for the artist and the community. 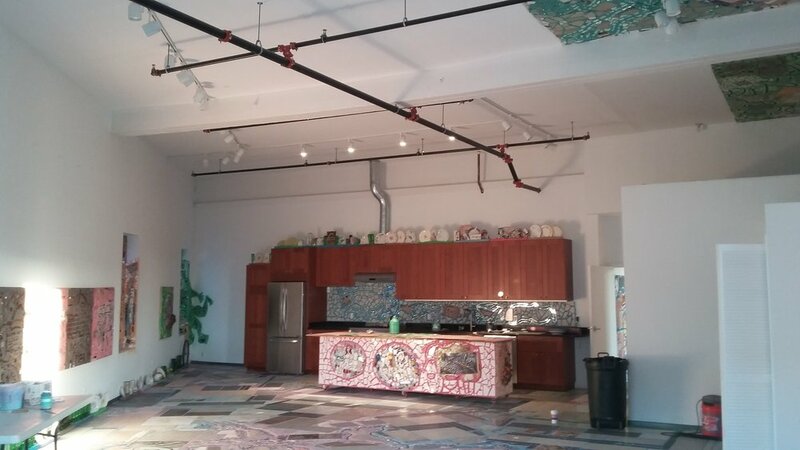 The space is used as a gallery, storage facility, production studio, event space, and catering area. The renovations to the mezzanine created a large kitchen and living space, as well as additional bathroom facilities. The space utilizes a radiant floor type heating system with high efficiency condensing boilers. 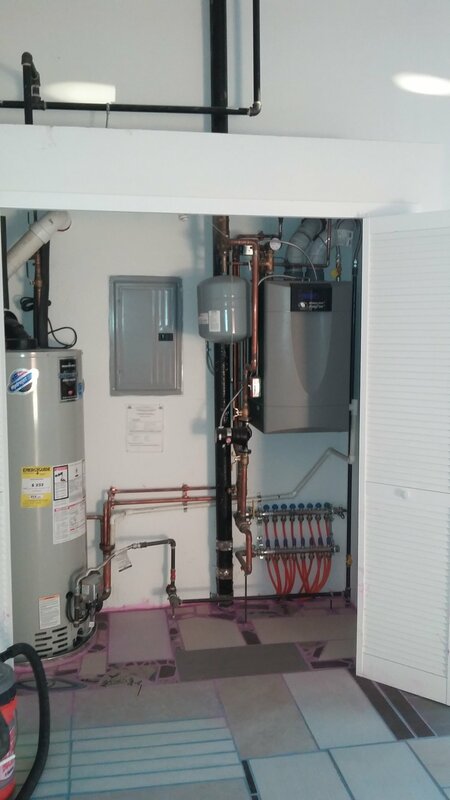 A condensing water heater was also installed to minimize energy consumption. A heating system was added to the lower level gallery and studio to facilitate the wet sprinkler installation. Air conditioning was added throughout at a later stage. Western Learning Center is an affordable cost, South Philadelphia child care and early childhood learning facility which focuses on preparing young children for success in school, at home and in life. J+M Engineering was pleased to provide the MEP permit design for the classroom and office renovations which included new multi-split ductless heat pump systems with an energy recovery ventilator serving all floors of the facility. J+M Engineering was pleased to provide the MEP permit design for the approximately 8150 SF, Iglesia La Luz Del Mundo Church project located on West Lehigh Avenue in North Philadelphia. The project consisted of extensive renovations to an existing three story church complex with sanctuary space, full basement, meeting rooms and office space throughout. The New Courtland Network provides healthcare training, and affordable housing and nursing care for seniors in Philadelphia. This partial first floor renovation project included modifications to the entrance lobby, a new corridor, converting the existing computer lab into a physical therapy room, increasing the size of the existing reception/activity area, and the addition of a new food servery area and bathrooms.